The epic story of MAHABHARATAM is all set to hit the Tamil television screen VIJAY TV. Great pains have been taken to narrate this story with utmost care. MAHABHARATAM is a high-octane drama involving a huge array of complicated characters. It is more than a story that gives lessons and teaches us on life’s morals and values. From sacred literature that brought revelations about Dharma and Karma through generations, the legendary MAHABHARATAM is the most awaited and ambitious project. MAHABHARATAM is the epic tale of two great kingdoms that went to war against each other. Filled with strong characters, lavish palaces and a tale encompassing every possible range of emotions. This is a story of kingdoms, a story of sacrifice, a story of relationships and lastly a story bridging the gap between the Gods and man. The narration of the story begins from the foremost ancestor of the epic Shantanu-Satyavathy and the sacrifice of Bhismar. Not much known stories of the epic are brought to lime-light so that viewers get to see a fresh and untold stories so far. only on VIJAY TV’ you would enjoy it”. The marketing activity for the launch of MAHABHARATAM has been widened all over Tamilnadu. The massive publicity takes the show to the next level of affluence and the grandeur promotion is sure to attract everyone. The promotions of MAHABHARATAM have begun with grandeur Digital, interactive mediums, wall posters, on ground activities, Radio, Print, Road shows etc., and there are more exciting promotional plans that are lined up as part of the extensive Marketing plan. Contests are run on the channel and lucky winners get Mahabharat goodie bags. The sponsor for this prestigious show is ‘Prestige’. 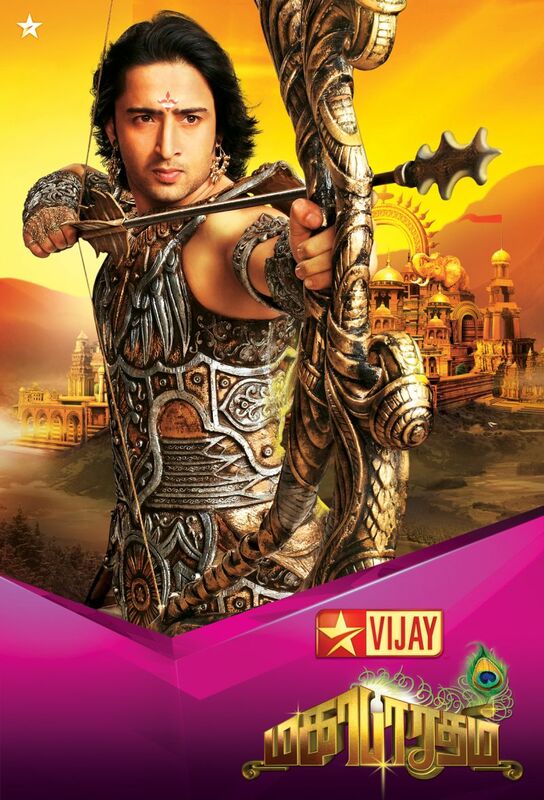 A must watch ‘Maha Mytho’ MAHABHARATAM launches on 07 Oct, 2013, every Monday to Friday at 7 pm only on Vijay TV.